The first official records now prove the presence of wolves in Liechtenstein. During the last week of 2018, on December 25th, a camera trap captured a wolf in the upper Saminatal. The camera trap was actually part of a lynx-monitoring project from the national Environment Office. According to experts, this is the first proof ever of a wolf on Liechtenstein territory. Earlier in 2018, pioneering wolves set foot also in other countries after more than a decade of absence. The news does not come as a total surprise, as wolves have been residing in neighbouring areas for a longer time. The origin of the Liechtenstein pioneer is unknown at this moment. Relatively close to the camera trap, researchers found a dead red deer. It might be possible to determine the origin of the wolf with a DNA sample from the kill. Whether the wolf is still present is Liechtenstein is unknown. Not far away from Liechtenstein the famous Swiss Calanda wolf pack has its territory. 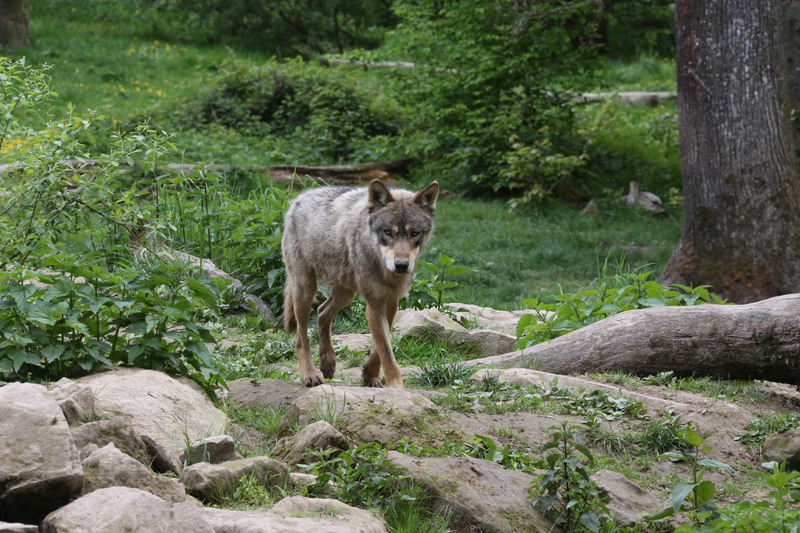 It is the first wolf pack in Switzerland and one of the best documented ones. Nature photographer Petter Dettling created a year long series on the Calanda wolf region. You can watch some of the episodes freely here. Of course, the wolf could also come from anywhere in Europe. There are for example wolf packs and multiple wandering wolves constantly present in Austria. The wolf packs in Austria for example originate from Lower Saxony in Germany almost 1000 km away. Wandering wolves cover as much as 70 kilometres per day, so a visit to Liechtenstein belongs to the possibilities.